At Groove Subaru of Silverthorne, you'll encounter the 2018 Subaru Outback, an exceptional hatchback with strong off-road performance capabilities. No matter what road you drive on, the 2018 Outback will make your ride a fun one. You can get your Subaru Outback in 1 of 4 ways: 2.5i, 2.5i Premium, 2.5i Limited and 2.5i Touring. Each trim comes standard with all-wheel drive, a feature that you need to upgrade to get on a competitor like the 2018 Volkswagen Golf SportWagen. Stop by Groove Subaru of Silverthorne near Frisco, CO today to test drive the versatile 2018 Subaru Hatchback today. The spacious interior of the 2018 Subaru Outback will make you the go-to person for carpooling among your friends. Thankfully, the Subaru Outback can support adults with more than enough head and legroom. Complete with a quiet and stylish interior cabin, driving is a pleasure in the 2018 Subaru Outback. The Subaru Outback offers class-leading cargo room with 35 cubic feet behind the rear seats and 73 cubic feet with the rear seats folded down. The 2018 Volvo V60 offers a measly 28 and 43.8 cubic feet, respectively. The Subaru Outback comes standard with a USB port, HD Radio, Apple CarPlay™ and Android Auto™. Available features include an optional moonroof, an 8-inch touchscreen, a Harmon/Kardon® audio system and more. Armed with a 175-horsepower 4-cylinder engine, the 2018 Subaru Outback is well-equipped to punctuate your daily drive with power. That standard engine offers more power than competitors like 2018 FIAT 500L and its only 160-horsepower powertrain. The Outback also offers a 256-horsepower V6 engine for increased power. You won't find an engine with that power on the Volkswagen Golf Sportwagen. The 2018 Subaru Outback is fuel efficient with EPA estimates of 25 MPG city and 32 MPG highway even with its standard all-wheel drive. 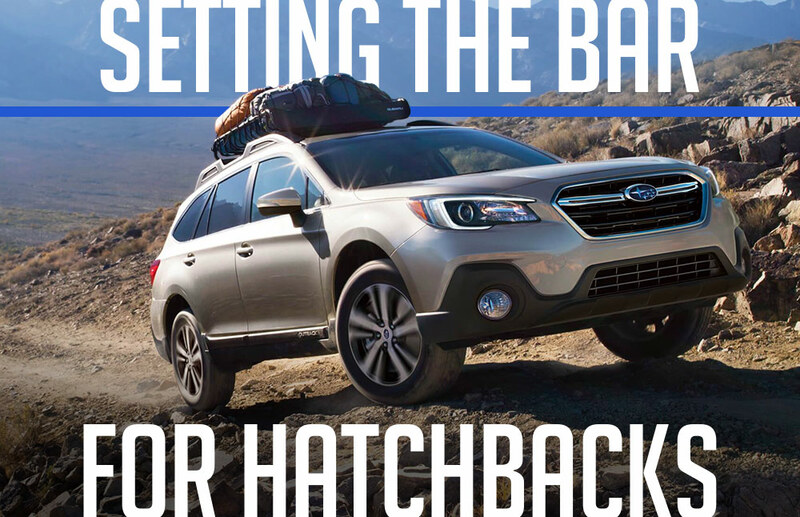 With AWD coming standard, the Subaru Outback can deftly handle off-road terrains. You don't have to worry about staying on the pavement with this one. Feel the performance of the 2018 Subaru Outback by test driving one at Groove Subaru of Silverthorne near Dillon, CO. Designed to keep you safe, the 2018 Subaru Outback is ready for any challenge. If you're a driver in Silverthorne, Frisco or Dillon, CO, stop by Groove Subaru of Silverthorne to test drive one today.